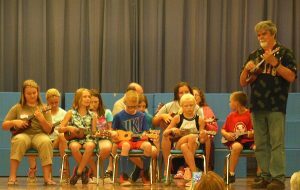 Hampshire County Arts Council will launch its Ukulele Club on June 8, 2018. 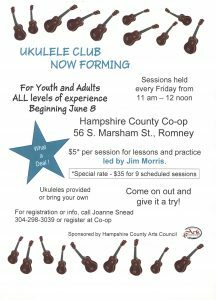 Under the leadership of accomplished musician, Jim Morris, youths and adults of all ages and levels of experience are invited to join the Ukulele Club for lessons and practice. 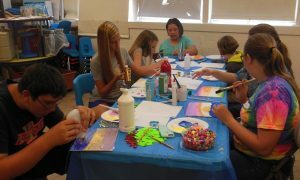 Sessions will be held every Friday from 11 am – 12 noon at the Hampshire Co-op, 56 S. Marsham St. Romney. 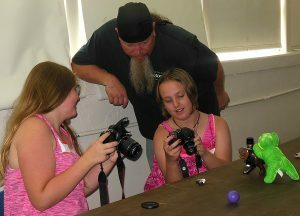 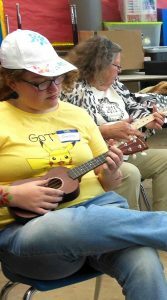 Interest in having a Ukulele Club began in the Summer Arts Camp 2017 with dozens of youths experiencing the fun of playing ukuleles for the first time. 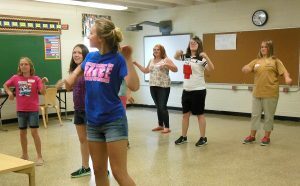 With just a few hours of instruction during the weeklong camp, they were performing to the enjoyment and amazement of parents and friends for the closing open house. 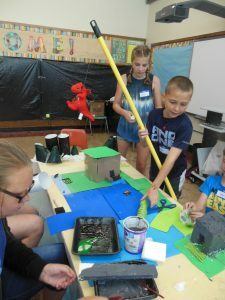 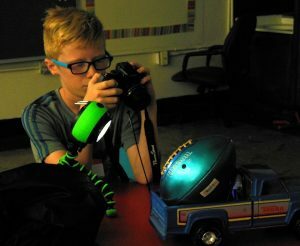 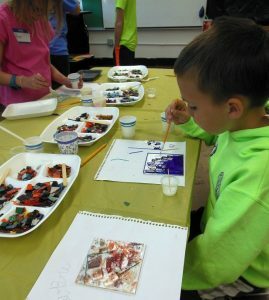 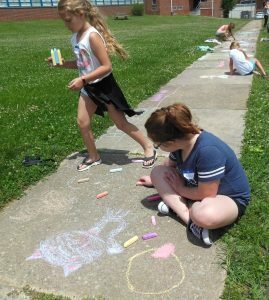 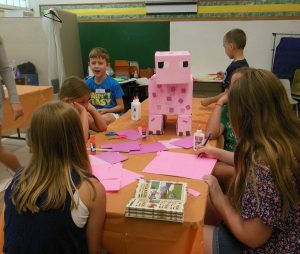 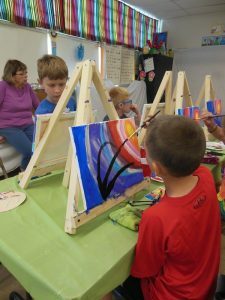 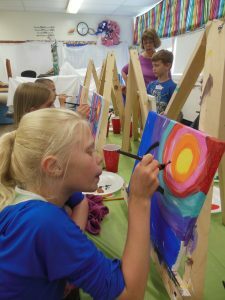 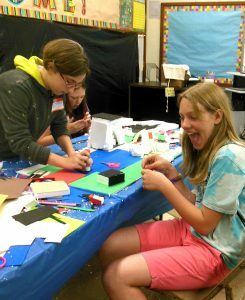 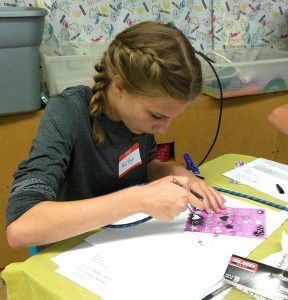 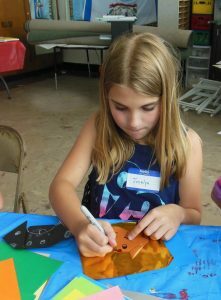 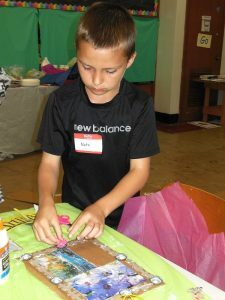 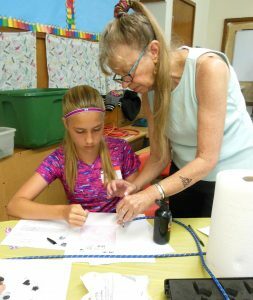 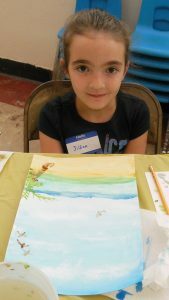 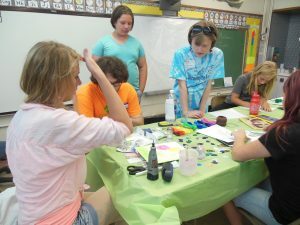 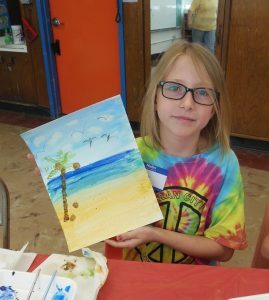 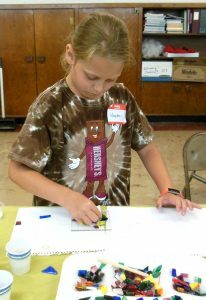 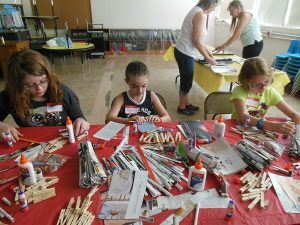 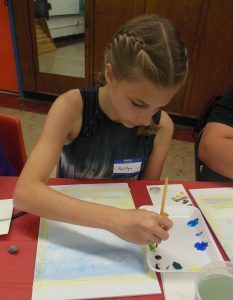 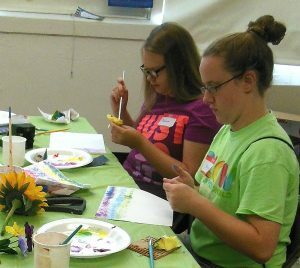 This year’s Summer Arts Camp under the direction of Joanne Snead and Nachama Miller provided great opportunities for youngsters to learn from some of the best artists in our community with 84 classes in arts ranging from Acrylics and Airbrushing to Ukuleles and Yoga. 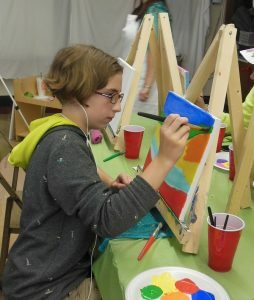 Seventeen dedicated artists, Liz Braun, Chelsea Carr, Brenton Colbert, John D’Amico, Judi Gaydos, Mark Griffith, Barbie Hillenbrand, Nancy Judd, Jeff Keister, Skylar Lane, Sibyl MacKenzie, Larry Manning, Jim Morris, Swami Ramachandrananda, Sharon Ryan, Missy Shockey and Paige Tighe shared their talents with 33 eager campers during the week of June 19-23. 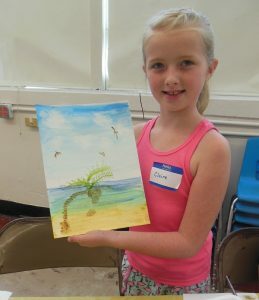 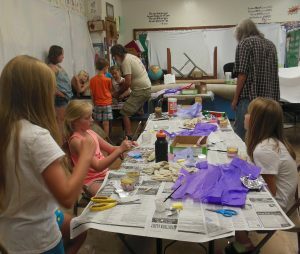 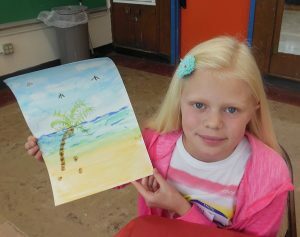 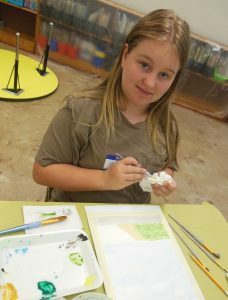 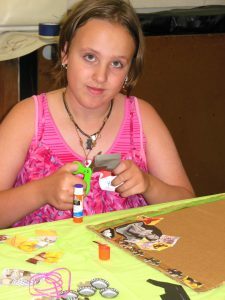 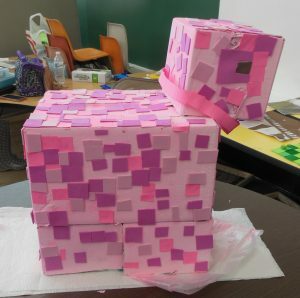 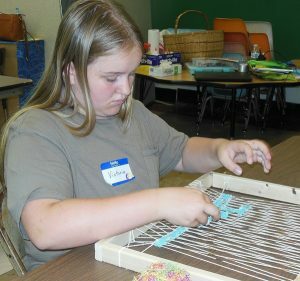 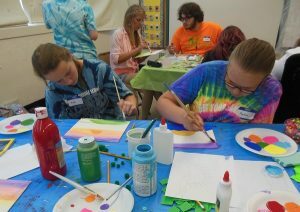 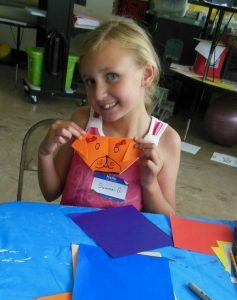 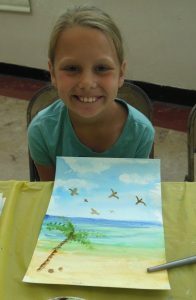 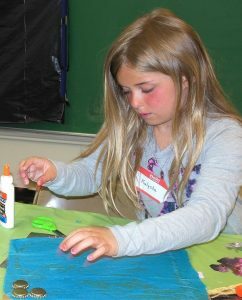 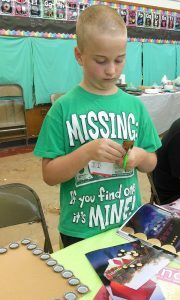 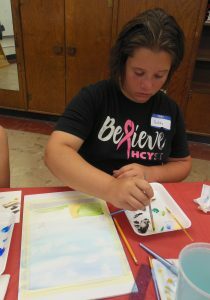 Campers enjoyed classes in acrylics, airbrushing, beeswax candle making, dance, drum circle, funky canvas art, glass crafts, Harry Potter, Minecraft, mixed-media/art journaling, Origami, painting backgrounds, making paper baskets, photography, sidewalk chalk, song and rap writing, string games, ukuleles, watercolors, weaving and yoga. 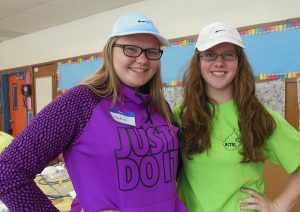 The full camp day included hot breakfasts and lunches. 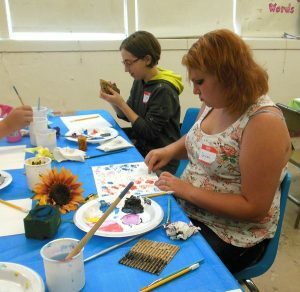 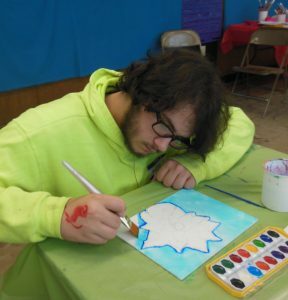 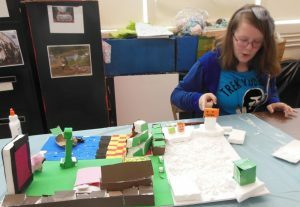 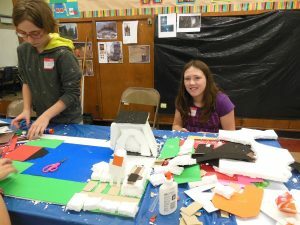 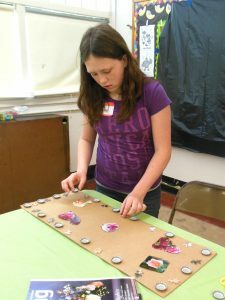 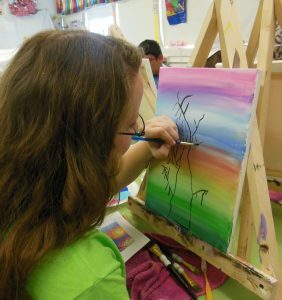 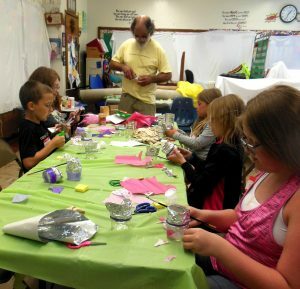 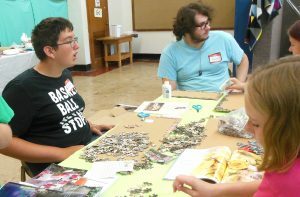 Artists have already committed to teach again next year along with new volunteers. 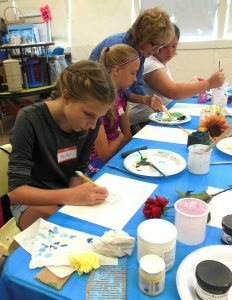 An exciting new class will be offered in cartooning. 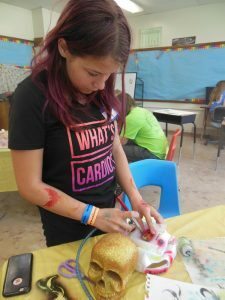 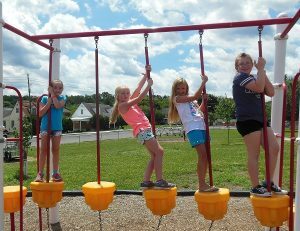 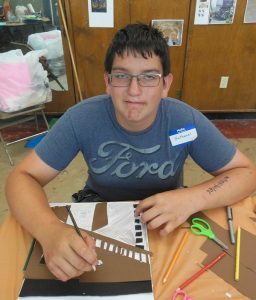 The tentative dates for 2018 Summer Arts Camp are June 18-22. 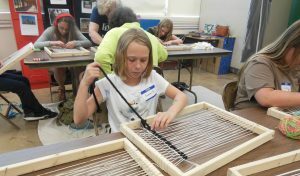 Watch this website for information and registration in early spring.